"Does God have a specific plan for each of us, or is it more like general guidelines for al of us? How do my gifts and abilities, my personality and particular circumstances, impact my vocation? What is the role of the church in this process? What are the needs of the world that call us to respond?" "Awakening Vocation "explores these questions and breathes new life into an ancient idea - rousing vocation from a centuries-long slumber. Inspired by the broad and inclusive Vision of the Second Vatican Council, the book traces the history of Catholic reflection on vocation and offers a constructive proposal for the present. 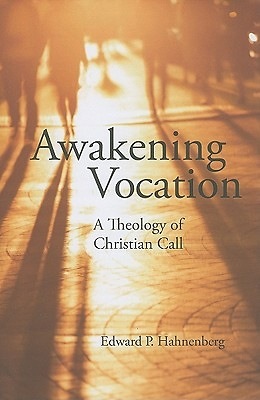 In plain language, Edward Hahnenberg argues that Catholic thinking on vocation has been frustrated by a deficient theology of grace and that the key to reclaiming the notion of God's call today lies in a Vision of God's self-gift reaching across al of human history and into every human heart. Rethinking vocation in light of a revitalized theology of grace helps move beyond earlier dead ends, opening up new ways of imagining discipleship and discernment within our wonderfully diverse and yet deeply divided world. "Edward P. Hahnenberg, PhD, is associate professor of theology at Xavier University, Cincinnati, Ohio, and author of "Ministries: A Relational Approach and A Concise Guide to the Documents of Vatican II."